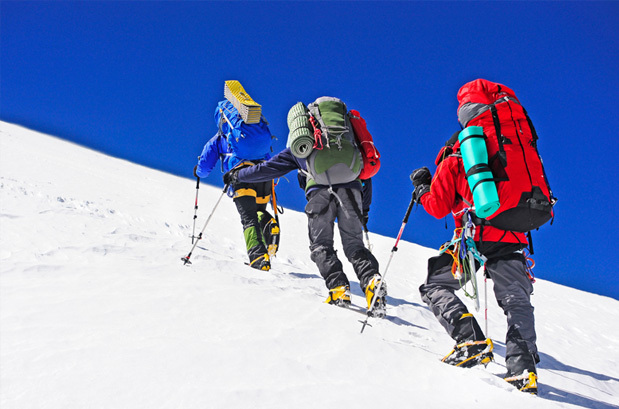 Crossing several obstacles, climbing on the steep slopes, withstanding sunny mornings to blizzard and walking past meandering tracks towards the 6153 meters is what it takes to do the Stok Kangri Trek. 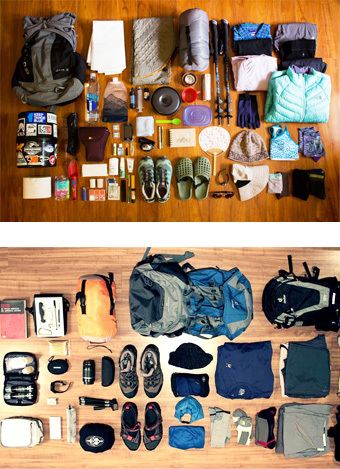 That's the challenge trekkers have to accept to reach the paradise within 5-6 challenging days. 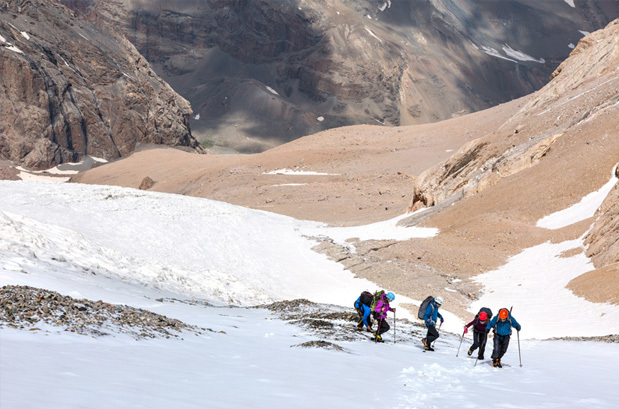 Being one of the most difficult treks in India, the Stok Kangri Trek is meant for those amateur and experienced trekkers that have one or two trekking experiences above 5000 meters. 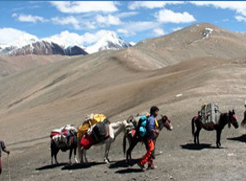 Ladakh brings forth many trekking tours but the Stok Kangri Trek is simply a walk to heaven. If one is lucky enough, he has the opportunity to catch the glimpse of the towering peak of K2 and the view of several crystal crests and large moraines winding down the barren valleys. During the trek get the chance of 360 degree view of the Saser Kangri, which dominates the northern sky on the Karakoram Range and the Zanskar Range on the south. The Stok Kangri Trek is one of the strenuous treks in the Ladakh region that requires serious acclimatization before hitting the tracks to Rumbak village. 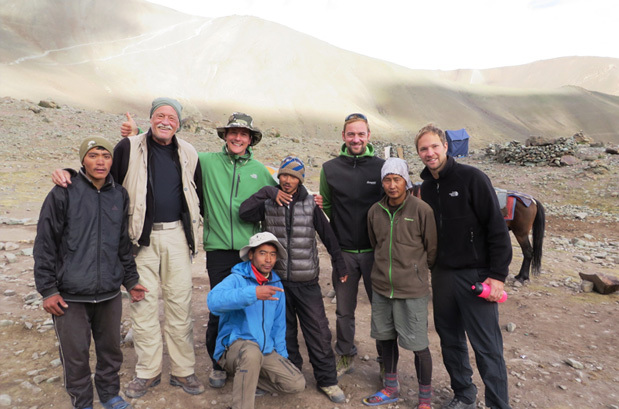 Even after crossing several mountain passes like Stok La at 4900 meters, the trail requires acclimatization at the Stok Kangri Base camp after camping and crossing Mankorma. The journey en route and thereafter passes through some narrow tracks and dangerous moraines; one might encounter snowstorms, which may slow down or hold back trekking to Stok Kangri. 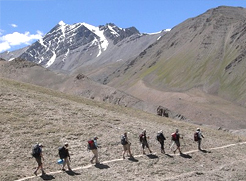 The Stok Kangri Trek creates a wholesome experience for the trekker. This dream expedition offers camping, facilities for home stay at a remote village, scenic beauty and pleasant stories. 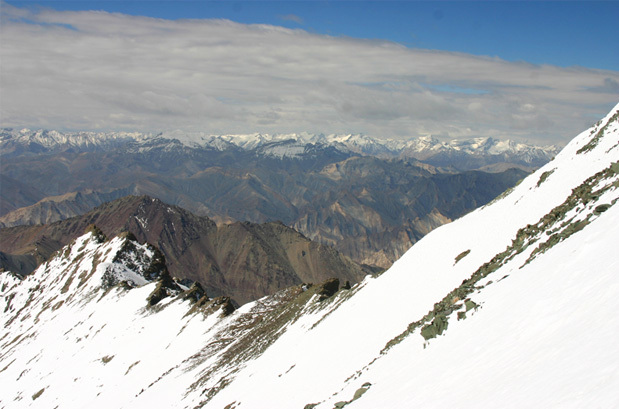 The best time to visit Stok Kangri Trek is between May and mid-October. 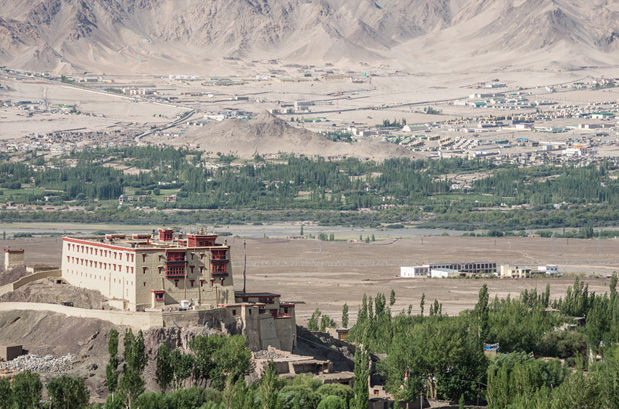 During this time, the weather in Ladakh is pleasant and the average temperature ranges between 20 and 30°C in the daytime. 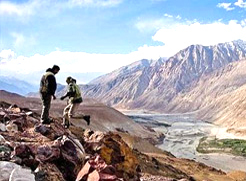 July and August are the ideal months for Sham Valley trek as during these months Manali-Leh and Srinagar-Leh highways also opens for private vehicles. Where is the Stok Kangri? The magnificent Stok Kangri (6153m) is situated in the south of Leh. 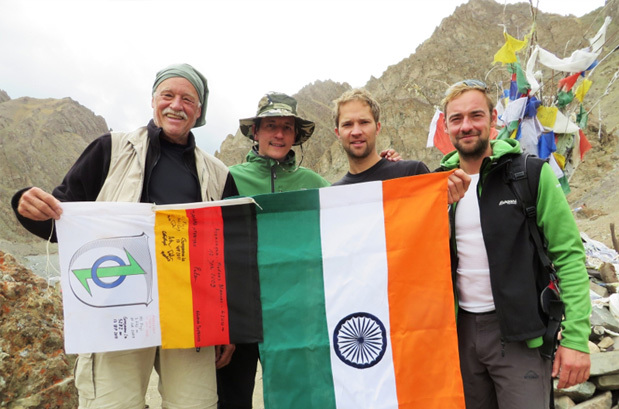 Declared an open trekking peak by Indian mountaineering foundations, Stok Kangri can be done by anyone who is physically fit. 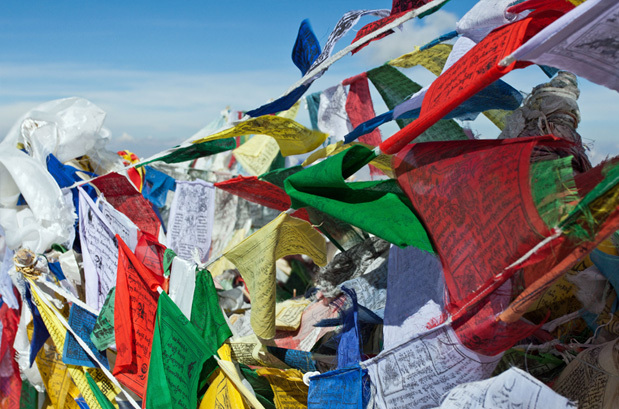 From the summit stunning views of Karakoram Range, Ladakh Range and Zanskar range can be witnessed. During clear sky K2 can also be seen at far distance. This day will be to get more accustomed to the weather conditions in Ladakh. We shall go for a short day hike to practice ascending techniques. Overnight stay in hotel. Today, we will drive to Spituk, which is the nearest road access to Stok Kangri. We shall begin our trek with an easy preliminary walk for around four hours until we arrive at Zingchan. Camp overnight at Zingchan. Day 04: Zingchan - Stok La (4400 m): 6/7 hrs. Post breakfast, we shall be trekking to the base of Stok La from Zingchan. 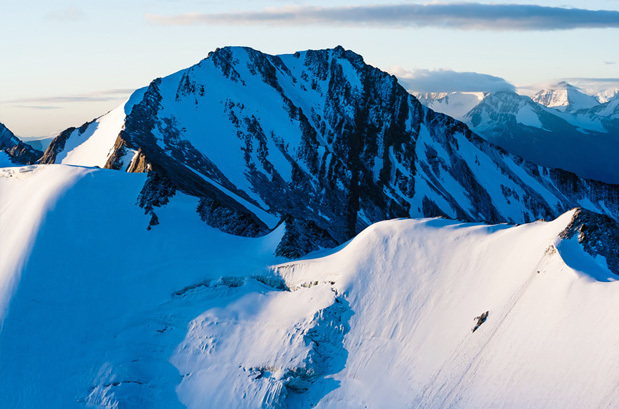 Stok La is positioned below. The nights are cold and days are comparatively warm here. Arrive at Stok La, relaxing sleep at the camp. Our trek will be towards Mankorma, where we will camp. 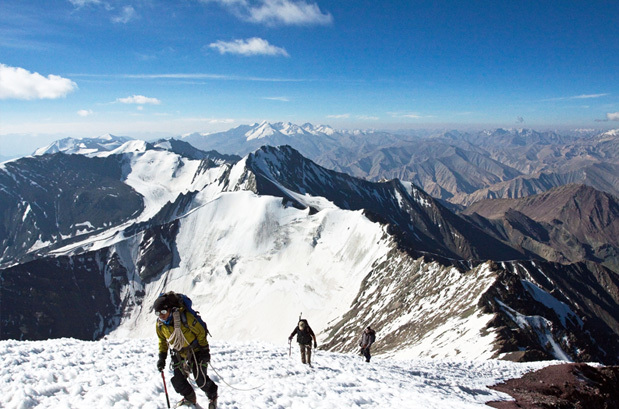 Get the amazing panorama of Stok Kangri and the trail to the peak from the base camp. Early in the morning, we will head out for the base camp. We will reach early to camp and will utilize time in taking rest. After relaxing for few hours, we will take a small ascent from base camp. We will ascend a further 100 meters and then descend down again to get enough time in night for preparation of tomorrow's peak attempt. Overnight stay in the base camp. Today, we shall start early to utilize the best weather conditions. We will ascend to a ridge first. This ridge leads to a large glacier that we will cross in order reach the peak. The last steps towards the peak are most difficult and require sound physical and mental potency. It is a spare day to explore nature's beauty at the peak. Today, we will descend down to the Stok Village from the base camp. We shall cross ruins of old forts. It takes around six hours to reach Stok Village where the vehicles will be waiting for us. We will drive for two hours back to Leh. Check-in to the hotel and overnight stay. Transfer to the airport and catch flight to Delhi from Leh. When to book Stok Kangri Trek? You should book Stok Kangri Trek two months in advance so that you get ample amount of time to prepare for the trek. Our pick up and drop point for Stok Kangri Trek is at Leh airport. From airport, our guide will pick you and then assist you through the expedition. What is minimum age required for Stok Kangri Trek? Stok Kangri trek is a moderate to challenging trek with a maximum altitude of 20175ft (6150m) so the minimum age required is 15 years. What will be the minimum temperature during Stok Kangri Trek? How long we trek during Stok Kangri Trek? How monsoon affects the Stok Kangri Trek? 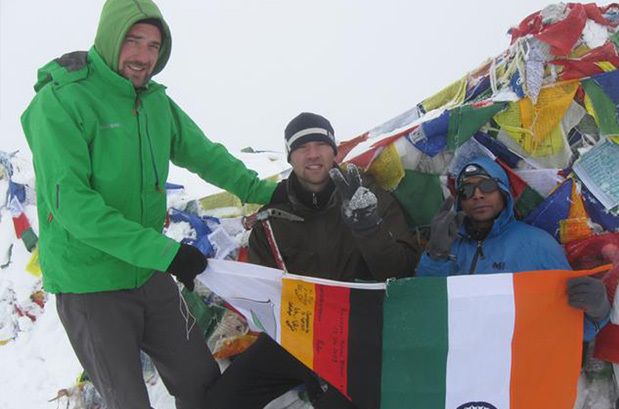 Stok Kangri trek is only conducted during the monsoon season: July, August and September. 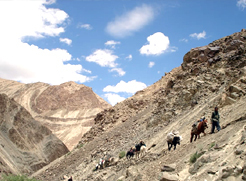 However, monsoon doesn't affect this trek as there are no rains in Ladakh area.